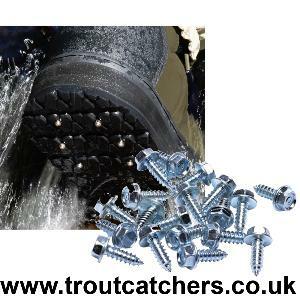 Snowbee Screw in Wader Studs, super hard, zinc plated steel studs, give additional grip to felt, or cleated sole waders. 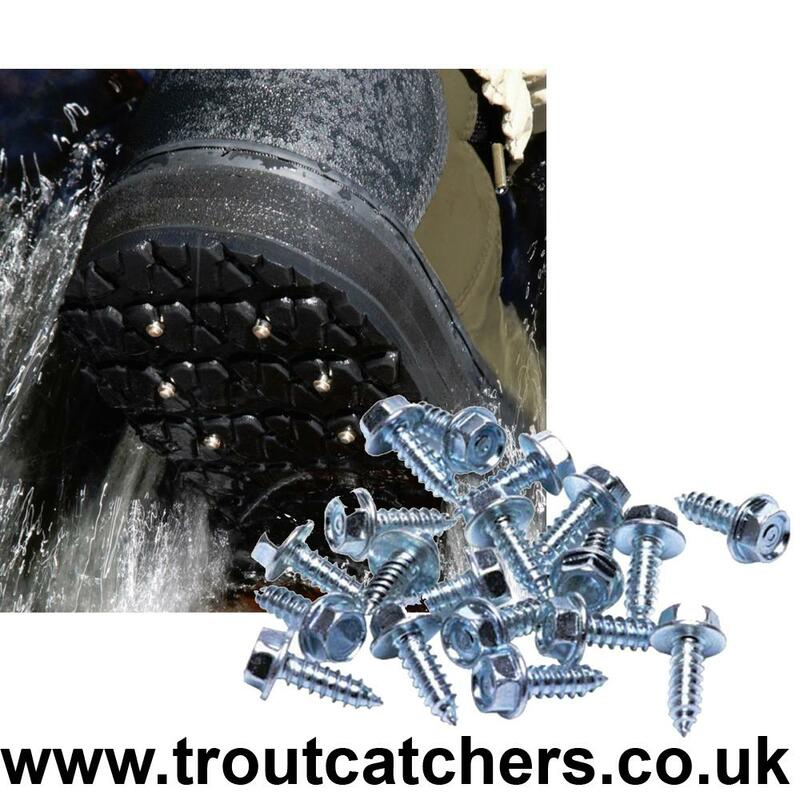 The wader studs are suitable for most types of waders or wading boots. 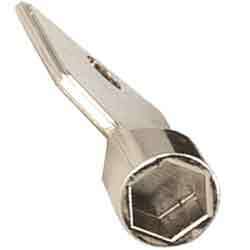 For easy application the studs can be inserted either with a hexagonal head socket, or a cross head screwdriver. For best results insert 6 studs around the edges of the heel area and if required a similar number around the toe area and the instep. It is not recommended to insert the studs into the main weight bearing mid sole area; this may result in the studs puncturing the inner sole. Also always check the depths of the sole in relation to stud length (Screw part of stud approx. 10mm) before you begin. If there is any doubt as to the thickness of the sole, then it is an idea to start screwing the studs in, to open up the hole, then unscrew them and snip or file off the sharp point of the stud, then re-affix. - Golden rule - if in doubt, leave them out! Good price and quick service as usual, thanks. Good quality and value for your pennies. Service is superb from troutcatchers. They do the job well for the price. Do what they are meant to do! Easy to screw in, used on the heal and you of my granite waders combination sole, provides extra grip and saved me from sliding a few times. These screw-in studs are much cheaper than some other brands, but they went into the felt soles easily and seem very firmly anchored. I am sure they will do the job effectively. Usual very fast service from Troutcatchers - well done.